the end user and their own sales team. To achieve success, both sales and marketing teams have to understand the persona of their buyer. To pitch a sale, the sales and marketing teams have to align to create a solid process for the marketing-sales hand off. 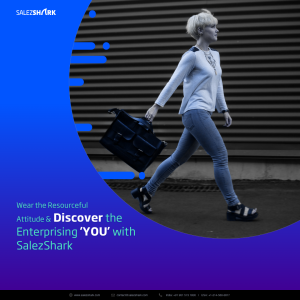 Taking care of sales enablement begins with understanding the buyer’s journey. Consult your sales team to get a better idea of the stages your buyers go through as they move through the sales cycle, then start creating a content roadmap to anticipate what you have learned. Discuss the ways your buyer learns, the way they evaluate and what can content marketing do to meet their needs. : Lead Conversion is vital for the efficiency of the sales team. The marketing team requires focusing on the impactful leads that will convert quickly. To enable your sales team you need to be transparent about what worked and what didn’t. The sales team would want to know if you are channelizing the budget in a right way and how much is the return of investment. Looking at your conversion rates and your closed won deals, would help you to rank your spend across the deal will let you see where you are getting the highest return. Chuck out the programs that you feel are giving unacceptable ROIs and double the ones which you feel gives you the most out of your spend. If you want your teams to be as aligned as possible, always make sure you’re monitoring and measuring as much as you can. One can consider Lead Nurturing to enable sales by running drip campaigns featuring training resources. 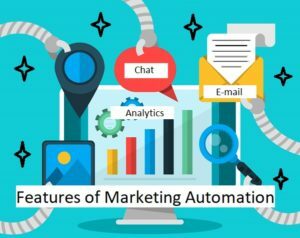 By using marketing automation to deploy these campaigns, you’ll be able to see who is engaging with your training content and get insight into what you can do to improve. Some marketers pass all leads directly to their sales team and others only pass over the ones that meet the criteria they determine as “sales qualified.” For the latter group, if a sale is passing back a lot of leads, this indicates the criterion for transitioning a lead that needs to be twisted. Enabling sales isn’t a task to check off your to-do list. It’s a constant project that requires regularly communicating with your sales team to see what you can do to better enable them and adjusting your strategy accordingly to get optimum Return Of Investment.